From Sept. 24 to 30, libraries and schools across the country will recognize Banned Books Week. It’s a chance for us to remind you about all the society-changing books that have been banned or challenged. And there’s a good chance that list includes your personal favorite. Imagine your bookshelf without To Kill a Mockingbird, Color Purple, Animal Farm, Lord of the Rings or Harry Potter. And you might say: But that was a long time ago. We don’t still do stuff like that today? Authors from John Green to Rainbow Rowell to Raina Telgemeier were repeatedly challenged in the last year. Their books were accused of being sexually explicit, unsuited for their age group or promoting a specific political viewpoint. Now Banned Books Week isn’t about forcing yourself to read authors you don’t enjoy or whose views you disagree with. And it isn’t just about championing books that other people might have concerns about. After all, everyone’s entitled to their own taste in literature. 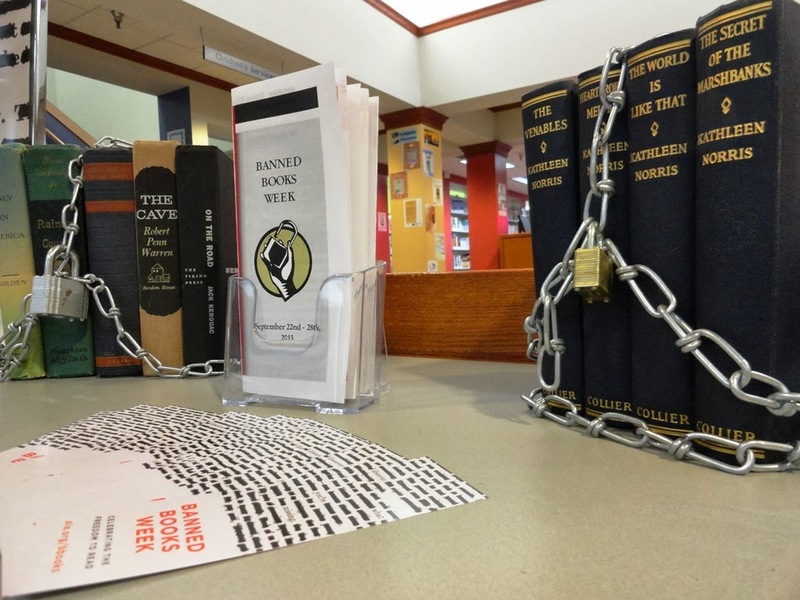 Banned Books Week is about having the freedom to read. There’s a reason we chose “Bradbury” as the password in our old Banned Books video. So it doesn’t matter if no books are ever banned or challenged again. That is, it doesn’t matter if nobody reads them anyhow. So commemorate Banned Books Week in the best possible way: Read. Read a book that’s been banned or challenged. Read whatever you like. But read. And decide for yourself what belongs on your bookshelf. This entry was posted in Uncategorized and tagged Banned Books Week, censorship, Mentor Public Library, raina telgemeier, Rainbow Rowell. Bookmark the permalink.